The ZBW is Germany’s central subject library and research infrastructure for economics in Germany. Its mandate is to acquire, to index, and to archive theoretical and empirical literature and subject-specific information from economics and business studies, and to provide access to these materials to the general public on a national basis. The ZBW also acquires all publications from closely related and auxiliary disciplines focussing on economics, in order to accommodate the increasing tendency towards interdisciplinary work in economic research. The ZBW is part of the system of national literature provision within the German Research Foundation (DFG). The ZBW creates content-descriptive metadata not only for books, but also for articles in journals and working papers, i.e. they are indexed with keywords (descriptors) from the Standard Thesaurus for Economics. The ZBW maintains the search portal EconBiz containing more than 10 million datasets of bibliographic references for economics and business studies. The ZBW also offers an online reference service, Research Guide EconDesk, which provides guidance for literature and data searches in economics and business studies. The ZBW is an active player in the Open Access movement which aims for free access to scholarly research output. It is the chief negotiator for national licences in economics in Germany. The repository EconStor serves as a platform for the free publication of research output in economics. Authors and publishing institutions can publish without charges on EconStor. More than 400 institutions use EconStor for the digital dissemination of their publications in Open Access. It is an input service for RePEc and one of its most frequently used archives. All titles in EconStor are indexed by search engines such as Google, Google Scholar and BASE, and distributed to databases such as WoldCat, OpenAire and EconBiz. The ZBW Journal Data Archive is a service for the editors of scholarly journals in economics. Editors can deposit datasets and other material relating to empirical articles and provide access to them in order to enable reproducibility of published research findings. The ZBW publishes two journals of economic policy, Wirtschaftsdienst and Intereconomics. The ZBW also provides support for researchers dealing with the different aspects of the digitisation of the science system, such as publishing in Open Access or research data management. The ZBW participates in national and international projects to develop new services for its users. GeRDI – Generic Research Data Infrastructure. The project aims to develop a distributed and linked-up research data infrastructure. It aims to virtually link existing and future research data centres all over Germany. This allows scientists to search for and re-use research data across disciplines and without barriers. The ZBW coordinates the project which is funded by the German Research Foundation (DFG). Linked Open Citation Database (LOC-DB). The project LOC-DB develops tools and processes based on linked data technologies that will enable individual libraries to participate in an open, distributed infrastructure for the indexation of citations. It aims to show that extensive automation of metadata creation can produce relevant added value to scholarly information discovery. metrics: MEasuring The Reliability and perception of Indicators for interactions with sCientific productS. The project focuses on gaining a deeper understanding of alternative indicators for measuring scientific performance. Under review are the quality and reliability of the indicators, but also how far they are able to map discipline-specific differences. MOVING: the project aims to build a working environment for the qualitative and quantitative analysis of large collections of documents and data. The ZBW is the research partner for text and data mining and also the scientific coordinator, and contributes its expertise in the field of Science 2.0. Digital Imperial Statistics: Historical statistics are usually not available online. In this pilot project, the German Imperial Statistics 1873-1883 have been digitised and processed into a format that researchers can download easily for re-use in spreadsheets. This project is also funded by the German Research Foundation (DFG). 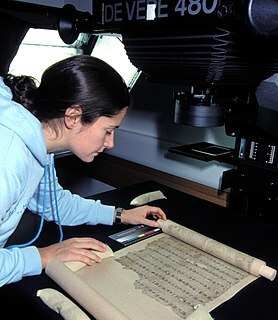 Digital preservation: Because of the rapid technical development of recent years, information is often only available in digital form. At the same time, the hard- and software needed for reading this information becomes obsolete even more rapidly. Digital preservation ensures that future generations will still be able to use this information. To this end, the ZBW cooperates with two other German Libraries, the Leibniz Information Centre for Science and Technology (TIB) and the Information Centre for Life Sciences (ZB MED), in a pilot project to develop strategies and methods for the digital preservation of digital resources. Linked Open Data: the project describes the provision of Open Data as Linked Data. The ZBW makes intensive efforts to link its own data with external data in order to find new applications and potential uses. The first ZBW data to be published in this form is the Standard Thesaurus for Economics. Current prototypes can be seen in the ZBW Labs. In order to meet the challenges resulting from the technological changes in information provision, the ZBW relies on a global network. It has signed cooperation agreements with national and international research institutions, for instance in the context of the Leibniz Research Alliance Science 2.0, the EU project MOVING, and in numerous DFG-funded projects. The ZBW is also actively engaged in the community of information infrastructure providers, for instance in the working groups of the Leibniz Association, the Common Library Network, LIBER, nestor and the Priority Initiative “Digital Information”. The ZBW carries out application-oriented research in computer and information science. Three professors work with an international and interdisciplinary team of researchers on the subject of Open Science / Science 2.0. Open Science / Science 2.0 describes the changes that the World Wide Web and its numerous Web 2.0 applications engender in the research and publication processes of the science system, which are the subject of research at the ZBW. In 2013, the ZBW initiated the Leibniz Research Alliance Science 2.0. This Europe-wide cooperation of infrastructure providers and research institutes wants to establish the topic of Open Science in the scholarly community. The goal is to provide open access to, and use of, scientific findings and processes. An annual international conference (Open Science Conference) offers opportunities for researchers, librarians, and experts in science policy to share applications, experiences and strategies around the complex of Open Science. The ZBW not only researches the digital shift, it also actively shapes it through its national and international activities in science policy. The director of the ZBW is an active proponent of Open Science as a member of the High Level Expert Group promoting the European Open Science Cloud. He is a member of the G7 Open Science Working Group and the German Council for Scientific Information Infrastructures, which is part of the Digital Agenda of the Federal Government. All these bodies prioritise the development of an integrated research data infrastructure across disciplines and countries. The latest project in this context is German Research Data Infrastructure GeRDI, which has been initiated in 2016 and is coordinated by the ZBW. It creates cross-disciplinary links between infrastructures for research data and thus new opportunities for multidisciplinary research. ^ "Who is the ZBW?". ZBW. Retrieved 2017-05-05. ^ a b "Leibniz Gemeinschaft: Institutes & Museums / ZBW". www.leibniz-gemeinschaft.de (in German). Retrieved 2017-06-13. ^ "DFG, German Research Foundation". ^ a b "Who is the ZBW?". ZBW. Retrieved 2017-03-17. ^ "Collection guidelines". ZBW. Retrieved 2017-03-17. ^ "Facts and figures". ZBW. Retrieved 2017-03-17. ^ "About EconBiz". EconBiz - Find Economic Literature. 2013-06-19. Retrieved 2017-03-17. ^ a b (ZBW), Deutsche Zentralbibliothek für Wirtschaftswissenschaften. "Simply. Share. Research. ZBW". Simply. Share. Research. ZBW. Retrieved 2017-03-17. ^ "EconStor: About EconStor". www.econstor.eu. Retrieved 2017-03-17. ^ "Welcome - ZBW Journal Data Archive". ^ "Welcome - ZBW Journal Data Archive". www.journaldata.zbw.eu. Retrieved 2017-03-17. ^ "Publishing of economic research". ZBW. Retrieved 2017-03-17. ^ a b "GeRDI – Generic Research Data Infrastructure". ^ "Mannheim UL: DFG-Projekt "Linked Open Citation Database (LOC-DB)"". ^ "ZBW raises more than one million Euros in third-party funds to research the digitisation of the science system". ^ a b "Home - MOVING project". ^ "Digital Reich Statistics". ZBW. Retrieved 2017-03-17. ^ "Digital preservation". ZBW. Retrieved 2017-03-17. ^ "Linked Open Data". ZBW. Retrieved 2017-03-17. ^ "dara". ZBW. Retrieved 2017-03-17. ^ da|ra. "Home :: da|ra". .da-ra.de. Retrieved 2017-03-17. ^ a b "Leibniz-Forschungsverbund Science 2.0". ^ "International Open Science Conference". ^ "ZBW Research". ZBW. Retrieved 2017-03-17. ^ "Register of Commission expert groups and other similar entities". ec.europa.eu. Retrieved 2017-03-17. ^ "Profile Prof. Dr. Tochtermann". ZBW. Retrieved 2017-03-17. ^ "GeRDI to be model of a linked research data infrastructure". ZBW Website. Retrieved 2017-03-17. ^ "History of the ZBW". ZBW. Retrieved 2017-03-17. ^ "Satzung der Stiftung „Deutsche Zentralbibliothek für Wirtschaftswissenschaften – Leibniz-Informationszentrum Wirtschaft (ZBW)"" (PDF). ZBW. Retrieved 2017-03-17. Wikimedia Commons has media related to Deutsche Zentralbibliothek für Wirtschaftswissenschaften. The Deutsche Forschungsgemeinschaft is a German research funding organization. The Göttingen State and University Library is the library for Göttingen University as well as for the Göttingen Academy of Sciences and is the state library for the German State of Lower Saxony. One of the largest German academic libraries, it has numerous national as well as international projects in librarianship and in the provision of research infrastructure services. In the year 2002, the SUB Göttingen won the German Library of the Year award. Its current director is Wolfram Horstmann. The German Institute for Economic Research or more commonly DIW Berlin is one of the leading economic research institutes in Germany. It is an independent, non-profit academic institution which is involved in basic research and policy advice. DIW Berlin was founded in 1925 as the Institute for Business Cycle Research and was later renamed. Christoph Matthias Schmidt is a German economist. He is the president of the RWI – Leibniz Institute for Economic Research and since 2009 chairman of the German Council of Economic Experts. He is also a professor at the University of Bochum. EconBiz is an academic search portal for journals, working papers, and conferences in business studies and economics. It is provided by the ZBW - German National Library of Economics, Leibniz Information Centre for Economics. The portal was started in 2002 as the Virtual Library for Economics and Business Studies. The German National Library of Medicine, abbreviated ZB MED, is the national library of the Federal Republic of Germany for medicine, health sciences, nutrition, agriculture and the environment. It has two locations: Cologne and Bonn. The library is jointly financed by the Federal Ministry of Health and the 16 States of Germany. It is operated under the auspices of the German state of North Rhine-Westphalia. The 20th Century Press Archives comprises about 19 million of newspaper clippings, organized in folders about persons, companies, wares, events and topics. Open access to scholarly communication in Germany has evolved rapidly since the early 2000s. Publishers Beilstein-Institut, Copernicus Publications, De Gruyter, Knowledge Unlatched, Leibniz Institute for Psychology Information, ScienceOpen, Springer Nature, and Universitätsverlag Göttingen belong to the international Open Access Scholarly Publishers Association.